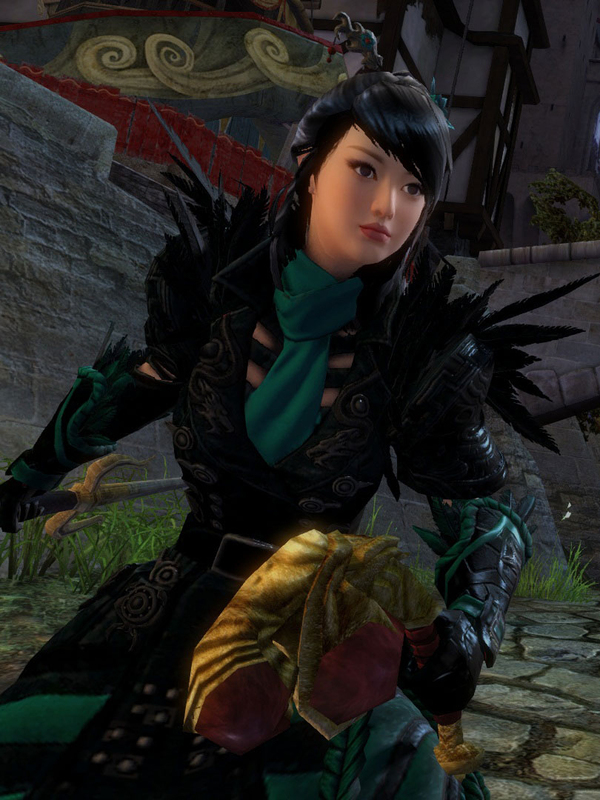 Kasmeer Meade and Majory Delaqua are non playable characters in Guild Wars 2. The two are business partners, jointly operating a private investigations firm called Delaqua Investigations. Additionally, the two women are involved in a romantic relationship which is implied in their various appearances together. In the final boss battle against Scarlett, Marjory is badly wounded and this drives Kasmeer to join forces with the playable-character. Afterwards, when Marjory is revealed to be alive, she shares an emotional kiss with Kasmeer. This entry was posted in 2010s, Characters, Lesbian, Lesbian (implicit), Queer women on June 24, 2016 by Adrienne Shaw.